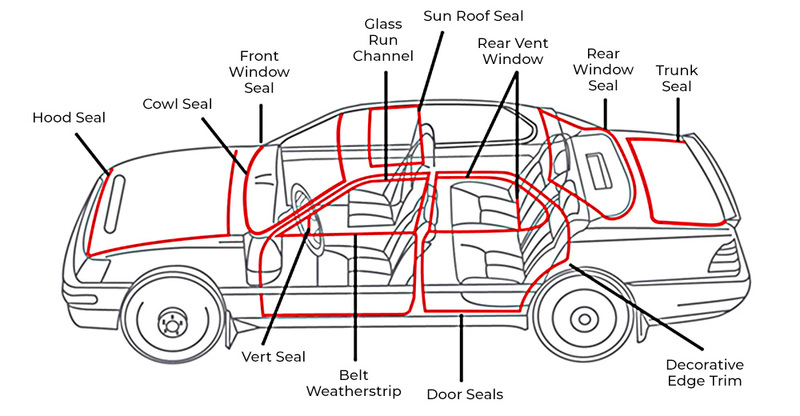 Rubber profiles are used in weather stripping to seal doors, windows and trunks in the automotive industry. Rubber extrusions / profiles have many applications like sealing, noise control, vibration control and decorative trim besides keeping rain water and dust from entering the vehicle cabin. MALCORP provides a wide range of rubber extrusions / profiles including U-Channels, P-profiles and other unique shapes. The usage of EPDM rubber on the profiles assures high quality weather stripping for the automotive industry.